Here's where to watch every episode of Norskov season 1. Mouseover or tap an episode to see where to stream it. Click or tap the play icon to stream it on the best available service. Episode 1 Sep 21, 2015 Norskov is a town fighting for survival. Mayor Martin Kierkegaard is trying to rescue the city's future, but drugs are a problem among the youth. Police superintendent Tom Noack returns home to help Martin clean up Norskov's drug culture. Episode 2 Sep 28, 2015 Tragedy brings Tom closer to Bondy, but Oliver is unapproachable. 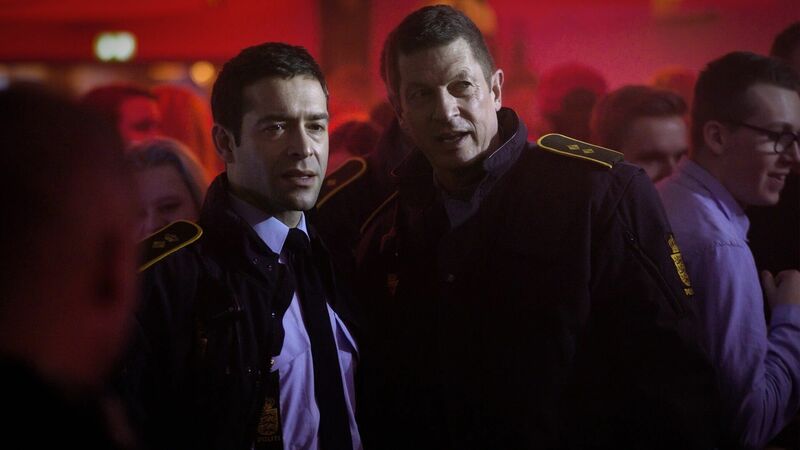 Martin's project is at risk, while Tom's investigation reveals a notorious drug dealer was in Norskov and as the cocaine in town is uncut; Tom sees a connection. Episode 3 Oct 5, 2015 Casper hjelper borgermesteren Martin med å få klimahavnprosjektet tilbake på skinner, og nå skylder Martin Casper en stor vennetjeneste. Toms etterforsking av narkotikamiljøet i byen går fremover, og han blir klar over at det er mye større enn først antatt. Episode 4 Oct 12, 2015 A big secret puts Tom in a bind. Jackie and Martin's marriage might be at stake, as the Minister for Education visits to green-light Martin's project. Tom's surveillance reveals that the case may reach much farther than first believed. Episode 5 Oct 19, 2015 Martin reveals his secret to Oliver. Getting a month to investigate, Tom and his team choose to go after the cocaine kingpin. Martin is a success and the town attends the groundbreaking. Meanwhile, Tom sees something he wishes he hadn't. Episode 6 Oct 26, 2015 The story of Oliver's real father hits the front pages. Jackie is hit hard as the adoption is halted. Oliver is in the finals, but is struggling outside of the rink. Tom believes the kingpin might be someone everybody knows in town. Episode 7 Nov 2, 2015 Oliver is sick of school and gets an apprenticeship at Bondesen Byg. Martin is living by himself, and things are not better at the office. Tom's investigation is falling apart, but an interesting wiretap provides a chance to crack the case. Episode 8 Nov 9, 2015 Bondy provides Martin with some shady help, which drives Jackie farther away. A disturbing piece of information makes Oliver lose his head, with potentially damaging consequences to follow. Tom's investigation is starting to yield results. Episode 9 Nov 16, 2015 The coke is on its way and Tom is waiting for the right time to strike. Martin finally launches the wave energy facility, and Jackie has to decide where to stand. Oliver's suspicion is increasing, and decides to tell Tom of his discoveries. Episode 10 Nov 23, 2015 Martin must resign as mayor, but at home things are better. Jackie is back, and Oliver has agreed to move in. But a dark secret comes to light, which leaves Oliver devastated.